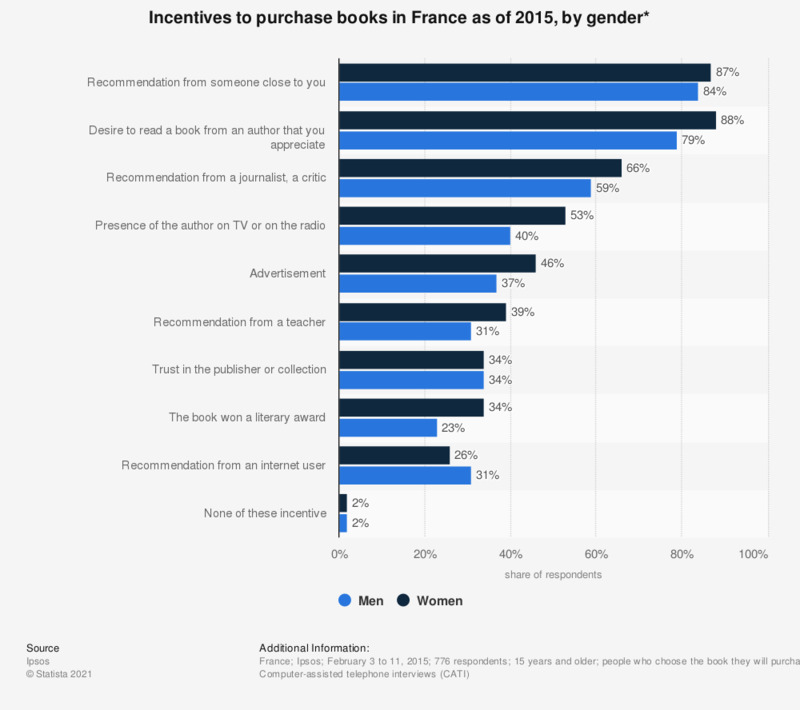 This statistic displays purchase incentives for books among French respondent as of 2015, by gender. It reveals that women were more receptive to the presence of an author on television or on the radio in their purchasing process than men. Indeed, 53 percent of women interviewed cited it as an incentive to purchase a book, compared to 40 percent of men. * This question was phrased by the source as follows: "what can make you want to purchase a book in particular before going to the point of sale?"